Allium is a sort perennial (including biennial) grassy plants of Liliáceae family. There are about 887 species of these plants. You can find the majority of them in a wild nature of northern hemisphere, in forests, steppes and fields. Both etable and uneatable and curative alliums deserved love and popularity among the mankind. Allium is characterized by showiness of bright inflorescences. They start getting out of hand at the end of spring or in the begin of summer. 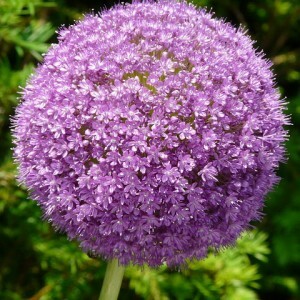 Alliums can grow in gardens, rock arias, mixed borders and beds, orchestra seats and other stony and group compositions.